The New York Times is divided over whether to keep Glenn Thrush, who was accused of sexual harassment. Some staffers don’t believe the harassment allegations leveled against Thrush are a fireable offence. The Times will reportedly conclude the investigation by the end of the month. The New York Times is reportedly divided over the fate of one of its top reporters who was suspended last month facing harassment allegations. 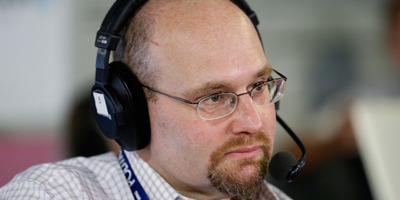 In November, White House reporter Glenn Thrush was suspended following a report in Vox that detailed allegations from four female journalists that he had acted inappropriately by engaging in unwanted advances including kissing. Thrush, Vox reported, also spread inaccurate rumours about his interactions with at least one woman at Politico, where he worked before joining The Times. In a story citing employees in the Washington, DC and New York bureaus, Vanity Fair’s Joe Pompeo on Thursday laid out how the investigation into Thrush’s behaviour has divided some staffers, creating “something of a schism” among employees over whether Thrush should return or get fired. Thrush likely won’t return to the White House beat, and is currently in treatment for alcohol abuse. Many Vox staffers and others were unhappy with the Vanity Fair piece, which they said papered over the accusations against Thrush, and set the stage for his return to the Times.